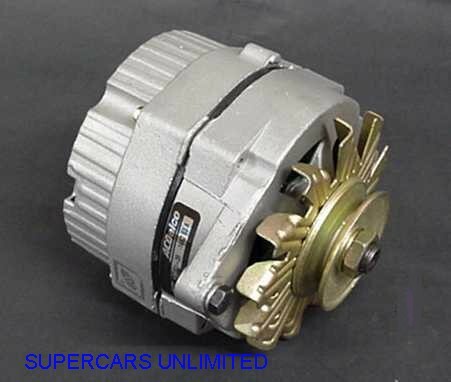 We offer remanufactured original Delco alternator assemblies. These premium quality units are rebuilt by Delco (Remy). All are complete with fan and pulley. Please note these units will not have the original stamping number. Sold outright. No exchange or core required! All without AC (except 69-71 4-4-2). 42 amp. All with AC (except 69-71 4-4-2). 55 amp. 69-71 All 4-4-2 without AC. 37 amp. 69-71 All 4-4-2 With AC. 55 amp. 72 All with or without AC. 63 amp. 73-77 All without AC. 37 amp. 73-77 All with AC. 55 amp.